As a kid, I hardly had anything to do with sports. The occasional Physical Education lesson was barely a representation, even though we did laps around the field, played ball games and tried not to kill one another in the process. Well, we never had much say in anything anyway. If anybody wished to be excused, they had to be too sick to do anything. In the first place, who would even think of attending school if they were unwell? Apparently, the school had believed that one of the methods to nurture its future stars was to drill them during Physical Education. When it came to ball games, the boys had mostly picked soccer before the school decided that the balding field wasn't suitable for it because anybody could just decapitate anybody right in the middle of the game or something. Okay, our school never had a proper field for sport activities. The basketball courts were worn out and had fraying nets. The neighbouring school was way better off than us. But we still played anyway, no matter how bad everything was. Naturally, the boys devised new ways to satisfy their soccer addiction. They used the old basketball courts for kicking the ball. Small plastic cones were placed at both ends to mark each goalkeeper. It was a lot crazier. Funnily, the teachers didn't think that playing soccer on the basketball court would pose any danger at all. Anyway, since soccer was merely a form of passing time during those dreadful Physical Education lessons, it was more of the fun and fooling around that mattered than the sport itself. 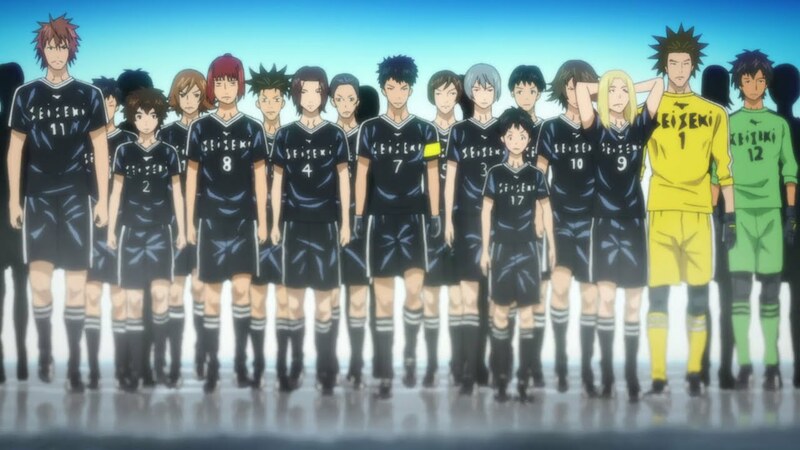 None of us had actually played in a tournament or a sport club. Neither had anybody expressed a desire to be involved in one. 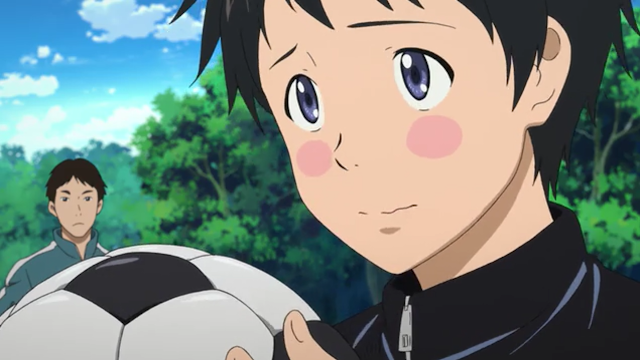 But I used to know a fellow student from another class who fought against the odds to play soccer competitively. 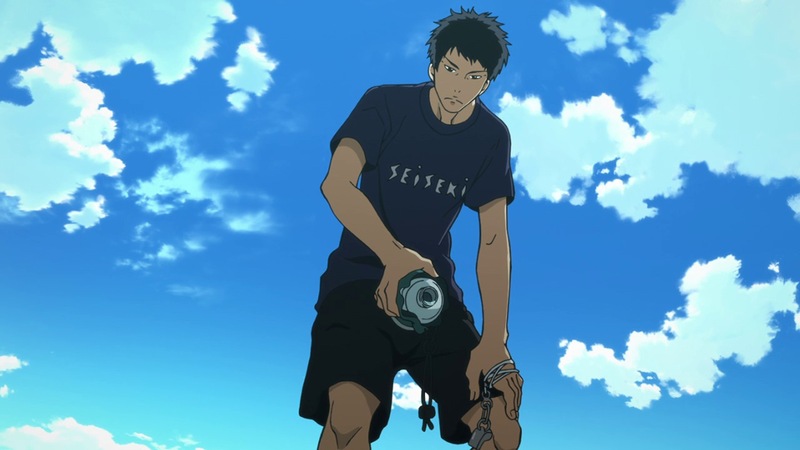 He reminded me of Tsukamoto Tsukushi, a high-schooler who wasn't even athletic to begin with, yet had the determination to play the sport alongside others. 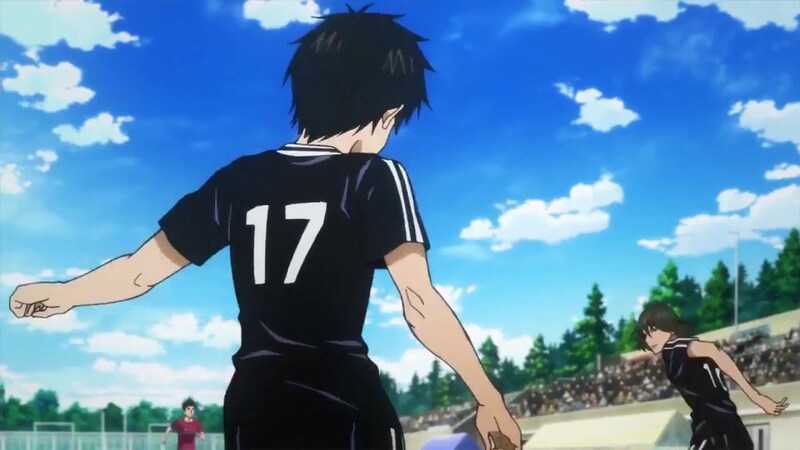 Joining the soccer club was quite the decision for Tsukushi, who had almost killed himself while trying to keep up with everybody else. An invitation to play casually with some strangers at the beginning became the trigger for Tsukushi to become a member of his school's soccer club later on. 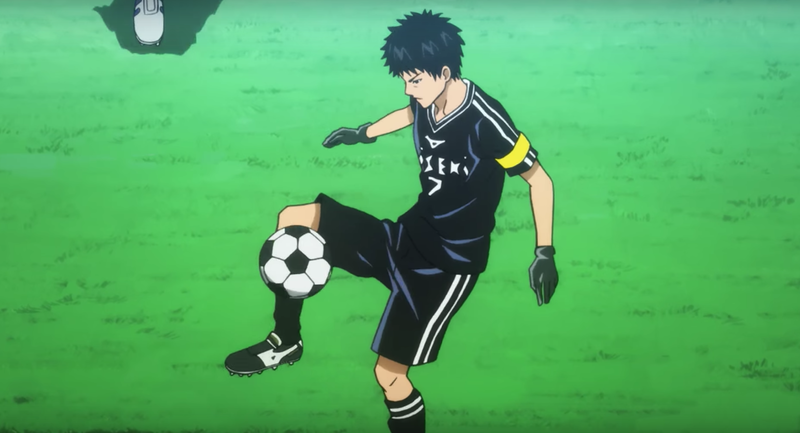 His fellow classmate, a blond head named Kazama Jin, was initially surprised and eventually motivated to do his best in the sport as well, despite being extremely talented and such. 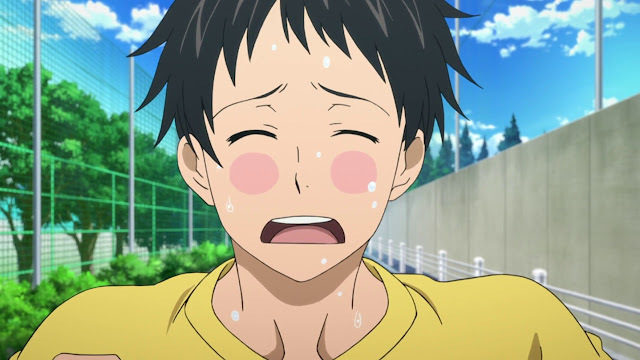 Of course, just like how every other newbie would, Tsukushi had an extremely painful start with the physically and mentally demanding aspects of the sport, which were in fact a huge leap off the ground. 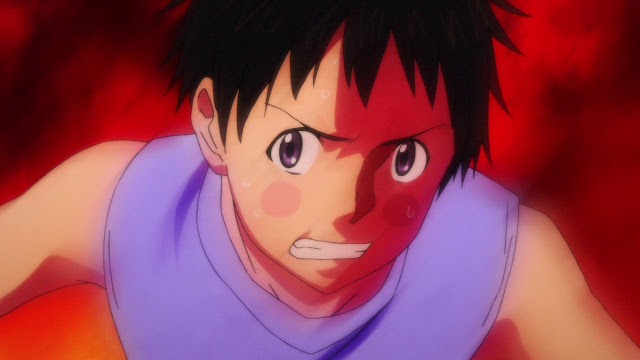 Jin was worried about Tsukushi wearing himself out excessively, as the latter was rather clumsy and had no gauge whatsoever when it came to endurance and such. But an incident would change his perception, and Jin was more than willing to look out for his team-mate and newfound friend. 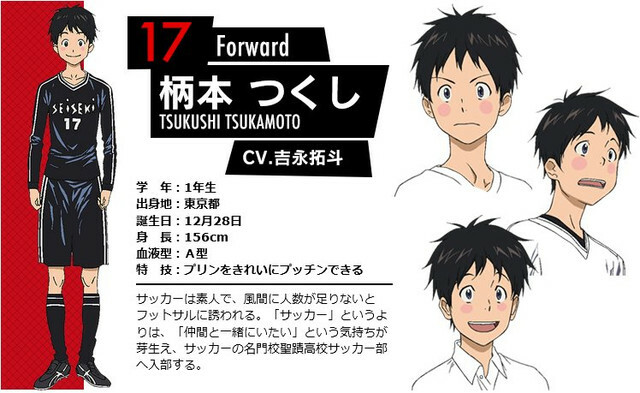 Tsukushi's extraordinary growth as a soccer player had also influenced the rest of his team-mates and opponents. 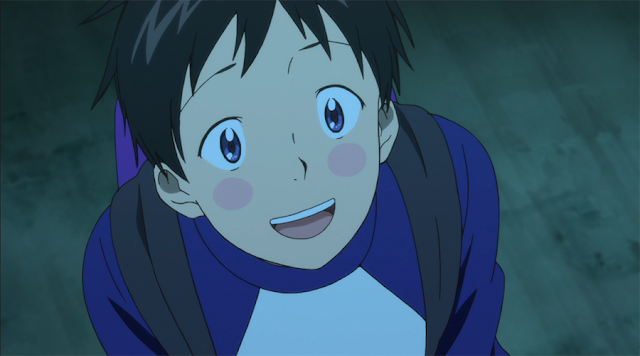 I have to say that watching Tsukushi is like revisiting another anime with a different yet still similar get-up. 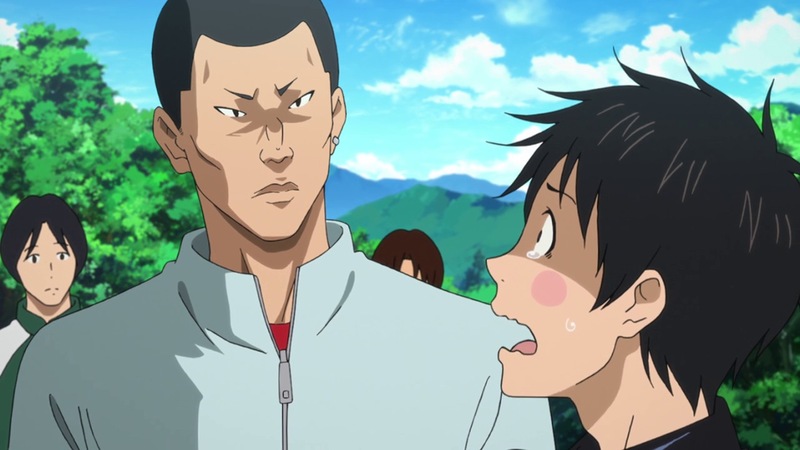 Yeah, Tsukushi is rather similar to Sakamichi from Yowamushi Pedal in some ways. Even though the former plays soccer, and the latter competes in road racing, both had started their respective roles from scratch. Well, it would be fun to see where Tsukushi would end up in this anime. 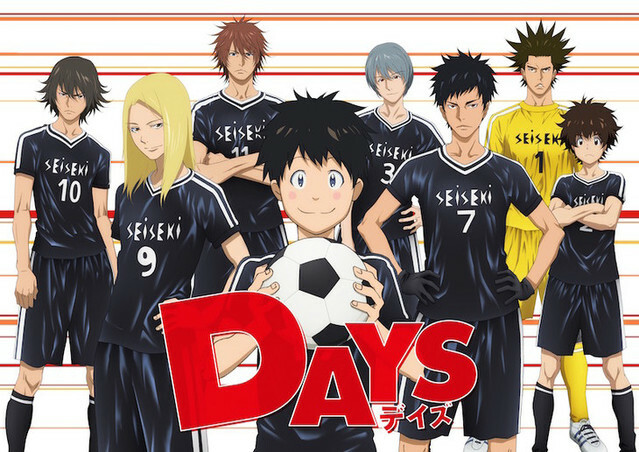 It has been a while since I followed a sports-themed anime. Yeah, I'm not really that fond of sports in the first place, but you know, there are exceptions to a lot of things. 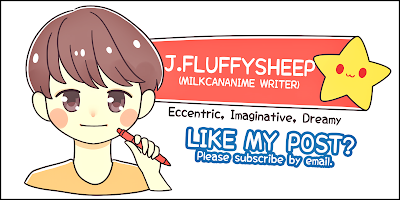 This is one, and then some. No Comment to " Days "